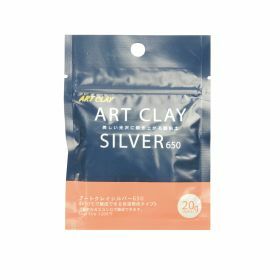 Art Clay Silver is a type of metal clay. It is a soft and supple clay which combines particles of silver with non-toxic, organic binders, making silver clay a safe product to work with. Your Art Clay Silver can be moulded, rolled, shaped and cut like a normal clay. You must fire the clay by kiln, torch or stove-top. The firing process makes the binders and water evaporate, fusing the metal particles into a solid piece of metal that is 99.9% pure silver. This is known as 'Fine Silver' as opposed to 'Sterling Silver' which is 92.5% pure silver. You can use Art Clay Silver to make your own personalised charms or pendants, you can even make special 'fingerprint' jewellery. 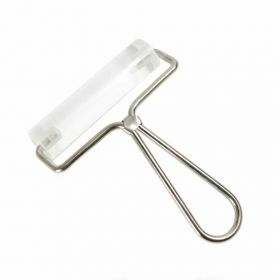 Take a look at our Clay Tools section for tools you can use with Art Clay Silver. Don't forget to check BeadsDirectTV on YouTube for detailed Art Clay Silver tutorial videos.